Birmingham cool kids Mutt have made a name for themselves with an array of trendy, low-capacity machines that's seen them curry favour with the likes of James May and Tom Hardy and now they’ve released another: the Super 4. It’s a retro roadster powered by a familiar, Chinese, 125cc air-cooled single and is intended as a celebration of all that was cool in the '70s, such as a Boogie Nights-inspired petrol tank in gold or blue. And while its 12bhp performance may not be much to shout about its style and name are reminiscent of the first generation of Japanese superbikes, most notably Honda’s CB750 SOHC, but with all the Mutt hallmarks, namely: 18in knobblies, short alloy mudguards, diamond- stitched seat and stainless pipe. 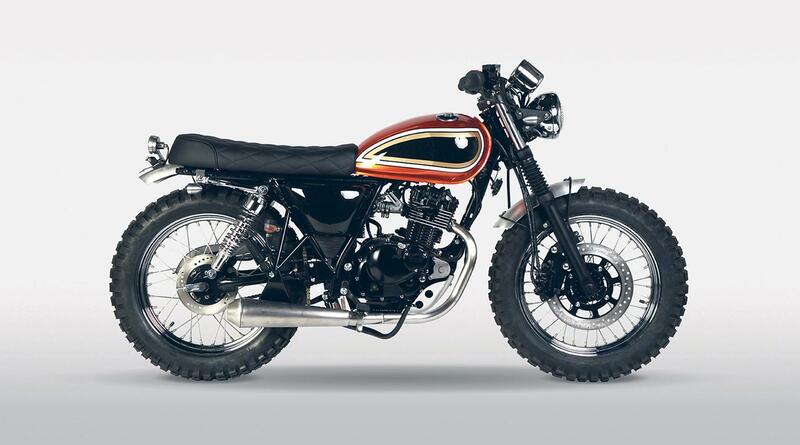 "The idea was to create a bike that echoes the current movement of customising '70s Japanese classics, except we wanted that feel straight out the gate without the headaches of working on old bikes," says Benny Thomas, Chief of Custom at Mutt. "The Super 4 paint is a custom slant on '70s factory paint jobs and the fat tyres, short mudguards and other parts that make up the Super 4 help give this little thumper a solid, custom-built vibe." 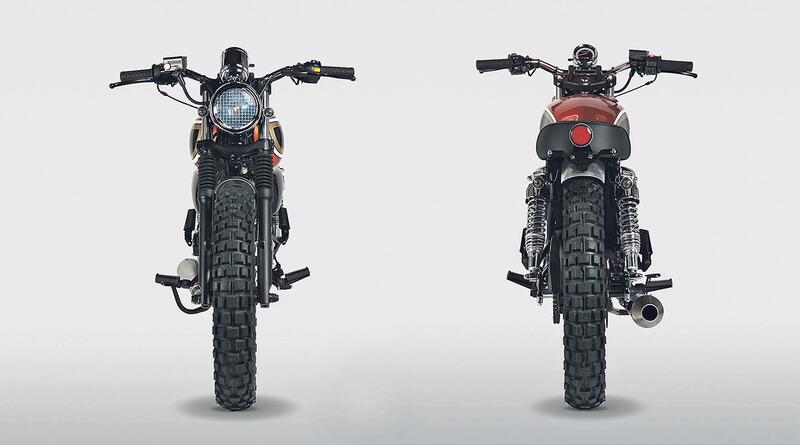 Despite its classic looks, the Mutt has a Euro4-compliant, fuel-injected single, with LEDs and a combined braking set up. The Super 4 is available to order now for £3495. Find a used motorbike for sale with us today.